perform a crucial role and represent a significant investment by the owner. Safeguarding these assets and maintaining efficiency and reliability are vital for the continued productivity of the application. Very often, when it comes to maintenance, the choice is between the original equipment manufacturer (OEM) or an independent service provider (ISP), but John Murray describes here that it is possible to have the best of both worlds. The aftermarket support of large pumping equipment needs to be of the highest standard in order to ensure the availability of the equipment. Ideally this would involve the expertise and engineering knowledge of the OEM combined with the flexibility and wider experience of the independent service provider. Maintenance, repair and rerating work is preferably completed during planned shutdown periods, but this requires precise planning and efficient execution to deliver each project on time. The ideal world, however, does not account for unplanned events that need to be resolved at the earliest opportunity. In order to achieve the optimum balance, it is essential to establish clear communication with the customer. Creating a local presence that can deliver a comprehensive range of services and expertise through a single point of contact ensures a transparent repair process and confidence for the plant owner. Modern pump design and maintenance incorporate advanced levels of engineering that require those involved in the maintenance processes to be properly equipped and trained. As a leading OEM of pumps and pumping solutions, Sulzer has all the necessary design and manufacturing expertise required to repair and rerate large pumps. 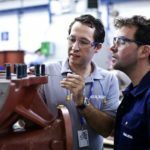 In addition, Sulzer provides an independent maintenance service for pumps of almost any description. The service teams that deliver this support are some of the most experienced and well supported in the field, capable of delivering large-scale projects on time. 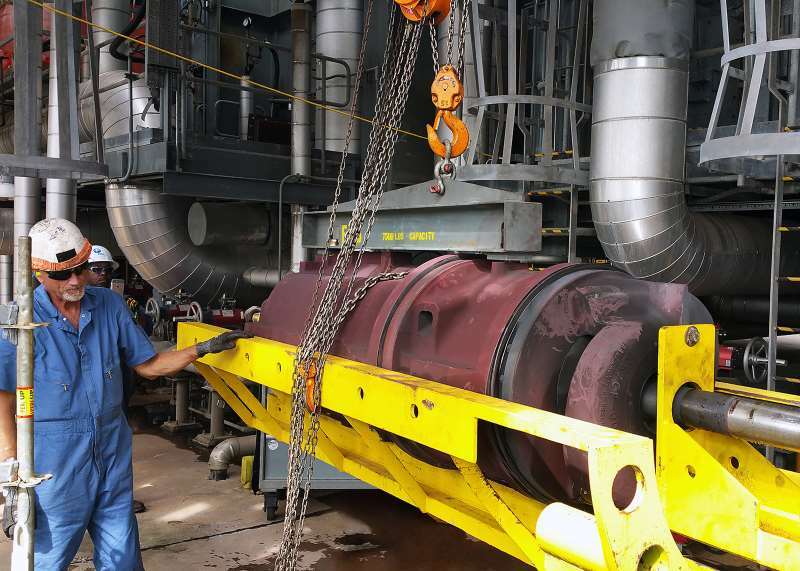 During a planned shutdown, time is essential and using it efficiently to disassemble a pump requires expert technical knowledge and experience. 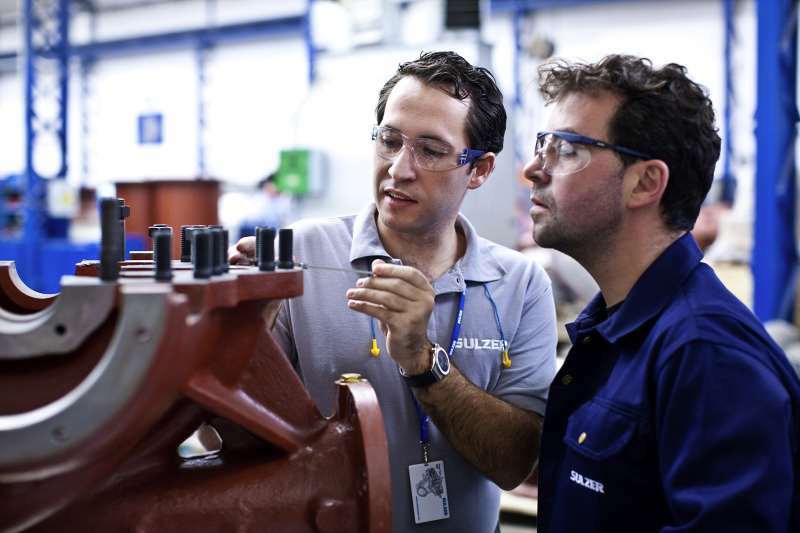 In addition, Sulzer is able to provide further technical design expertise and class-leading repair facilities that ensure the highest standards are achieved for every project. Completion of a maintenance project on time also requires extensive logistics support to ensure that all the necessary materials, tools and specialist equipment are available. By following a carefully planned and documented process, all the necessary tasks are completed effectively. With such a wide variety of pumps operating in so many different applications, it is important to have properly trained engineers assigned to each project. 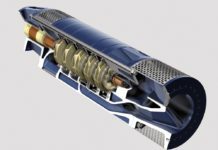 Sulzer can ensure that experts involved in the design of any style of pump, including barrel casing, axially split, multiphase and vertical, are on hand to offer technical assistance to a maintenance project. Many pumps provide decades of reliable service and over this time it will be necessary to replace various components due to erosion, corrosion or wear and tear. The field service teams can identify these components and assess the availability of replacements. 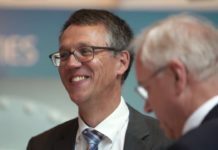 In some cases, where the OEM is no longer in business or the original drawings are unavailable, Sulzer can use its own design capabilities to reverse engineer the components requiring replacement. Similarly, the original application for a pump may have changed and by installing modified parts, the pump will be performing more efficiently. In some cases, a completely new design of pump may be required to maintain an existing process. In these cases, the design, manufacture and installation must all be carefully choreographed to minimize any downtime in the pumping process. The combination of OEM design and engineering expertise and the field experience of an independent service provider will be hard to beat. The ability of maintenance providers to deliver a comprehensive field service solution depends on three attributes: expertise, flexibility and high-quality in-house facilities that are equipped to deliver lasting repairs. For the highest level of service, the field service engineers need the support and specialist skills of the manufacturing facilities.